What do you get when you drop a piano down a mine shaft? A flat minor. See the next page for piano/keyboard reference. A piano keys module will present with 3 musical symbols in the top indicator and a 12-note keyboard to input with. 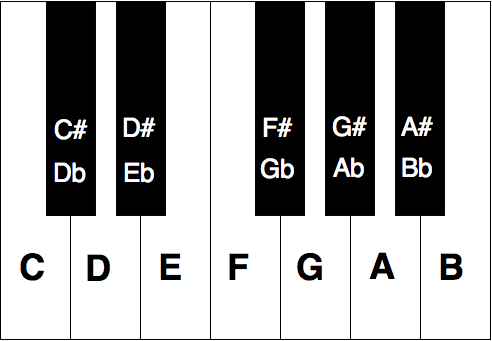 Use the following graphic as a reference to how tones are mapped onto a standard 12-note piano/keyboard.